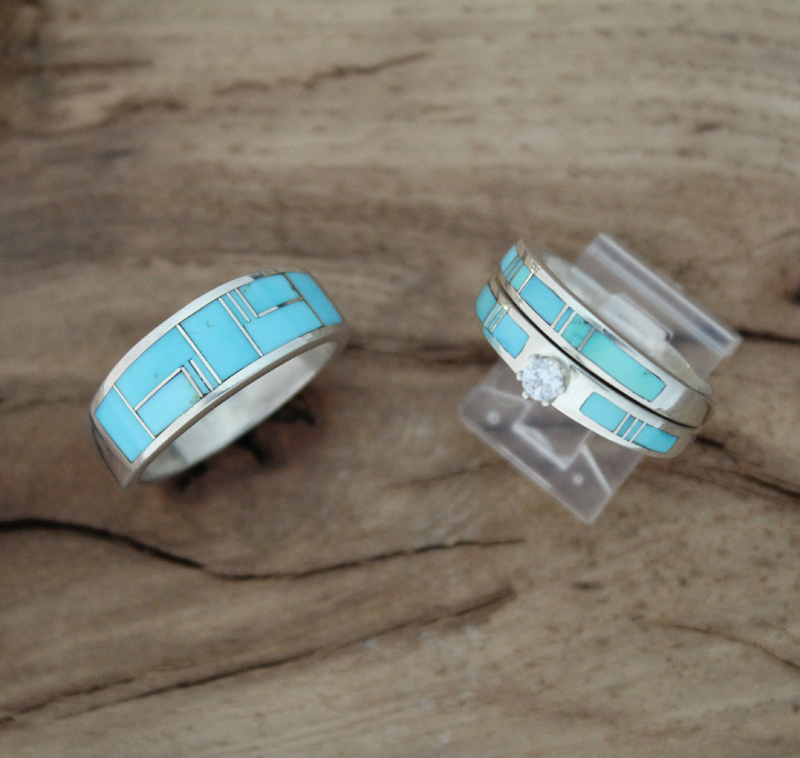 Native American Handcrafted Turquoise Sterling Silver Wedding Band Set featuring small vibrant light blue inlay Turquoise pieces, centered with a faceted round high quality zircon crown. The width of one band is 3 mm. We currently have this set available in size 5. 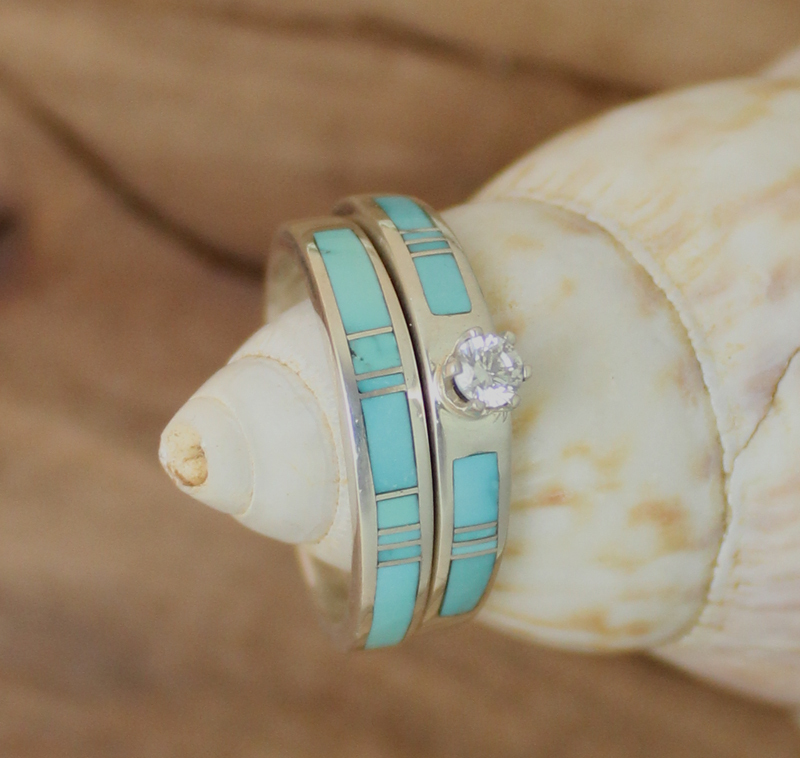 You also find a matching Turquoise wedding-band (shown above) for Him here: Men's Turquoise Wedding Band. Bring home a piece of authentic Native American craftsmanship with this beautiful wedding band set, brought to you exclusively by Traditional Hands.